How can we interact with the Ohio River? Can you or I pull into a parking space and sit in the car or truck and look at the river? Can we sit on a bench and look at it? Can we walk onto a pier or overlook? Can you tie your rowboat or me tie my kayak to a dock? Can you launch your canoe or I launch my bass boat at a boat launch? Can we get in the river, by wading or swimming or diving? 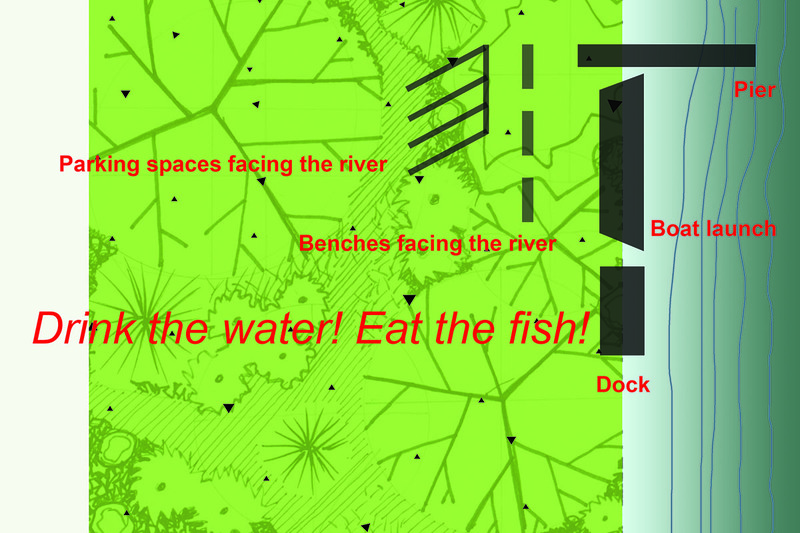 Can we eat the fish or the mussels or the riparian plants? Can we drink the river water?